Connexin 26 mutations are the most common cause of congenital sensorineural hearing losses. Connexin 26 is actually a protein found in the gap junction beta 2 (GJB2) gene. This protein is needed to allow cells to communicate with each other. If there is not enough Connexin 26 protein, the potassium levels in the inner ear become too high and damage hearing. Everyone has two copies of this gene, but if each birth parent has a flawed copy of the GJB2/Connexin 26 gene, the baby may be born with a hearing loss. In other words, this is an autosomal recessive mutation. What Populations Are More at Risk for Connexin 26 Mutations? Connexin 26 mutations occur most often in Caucasian and Ashkenazi Jewish populations. There is a 1 in 30 carrier rate for Caucasians and 1 in 20 carrier rate for those of Ashkenazi Jewish descent. People can be tested to see if they are carriers of the flawed version of the gene. Another gene, CX 30, has also been identified and is responsible for some hearing loss. Similar testing can be done to determine if an already-born child's hearing loss is related to Connexin 26. Testing can be done with a blood sample or cheek swab. At this time, it takes about 28 days to get results of the testing back. A genetic counselor or geneticist can best guide you as to what testing is most appropriate based on the family history, physical examination, and type of hearing loss. Are there other health issues associated with Connexin 26 mutations? Connexin 26 mutations are considered a non-syndromic cause of hearing loss. This means that no other medical problems are associated with this particular mutation. How is Connexin 26 related hearing loss treated? Hearing loss related to Connexin 26 mutations is usually in the moderate to profound range, but there may be some variability. 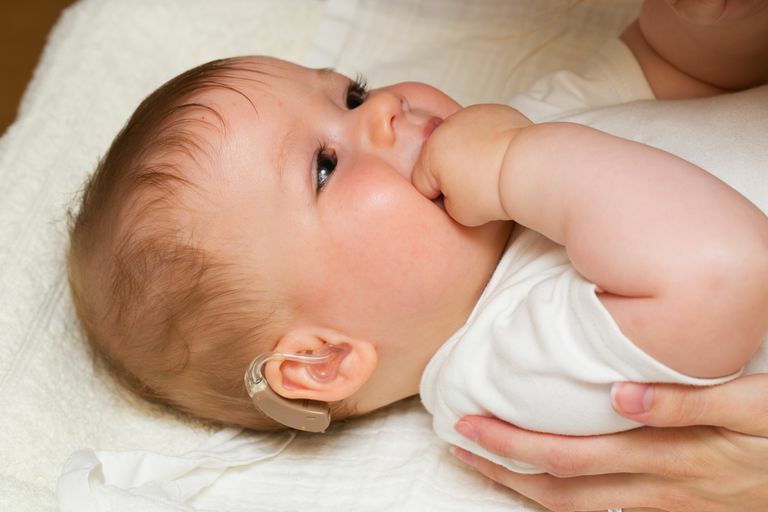 Early intervention is essential to provide sound to the developing brain and is achieved through the use of hearing aids or cochlear implants. There is current research looking at the possibility of gene therapy to decrease the amount of hearing loss caused by Connexin 26 mutations or to eliminate it. This testing has mainly been conducted in mice and is many years away from practical human trials. Genetic Testing for Hearing Loss (2015). Cincinnati Children's Hospital. Connexin 26 (n.d.). California Ear Institute. Connexin 26 Gene Testing (n.d.). Harvard Medical School Center for Hereditary Deafness. American Friends of Tel Aviv University. (2014, March 24). From mouse ears to humans? Gene therapy to address the progressive hearing loss.ScienceDaily. How Does Progressive Hearing Loss Occur in Young Children?